The ultimate guide to Bad Gastein ski holidays. 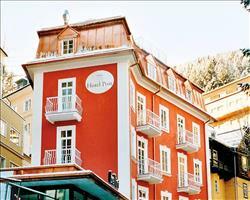 This gorgeous village has access to mile upon mile of the Gastein Valley’s powdery pistes and is linked by train to the wonderful city of Salzburg… fantastic for a week of exploring, provided you can tear yourself away from the thermal waters and ‘healing tunnels’ of this natural spa resort - therein lies the challenge. 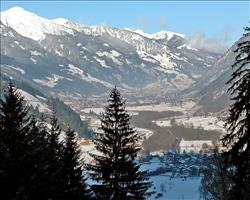 This beautiful ski resort and natural spa town is located an hour away from Salzburg, hidden in the Gastein Valley. The bustling town consists of colourful and attractive buildings including hotels, restaurants, bars, boutique shops and a supermarket -many offering a view of the beautiful waterfall that cascades through the town centre. The local architecture is unique and tells of the rich history of the area. It was commissioned by Italian architects and incorporates lavish Italian buildings with traditional Austrian design. The narrow roads still follow the original structure and too much traffic can make them busy, so try and travel on foot or use the shuttle bus as much as possible. Bad Gastein was established as a natural spa resort in the early 20th century after Marie Curie helped discover radon in its spring water. The radon enriched Helistollen Thermal waters earned the town its fame and soon visitors were flocking here including monarchs and the rich and famous. Emperor Franz Joseph and Empress Elisabeth of Austria made this resort a personal favourite of theirs and its naturally heated water attracts many visitors to its “Healing Tunnels” to this day. Just as tempting as the wellness facilities here is the snow – Bad Gastein is a renowned ski resort and one of the most popular areas with the locals. 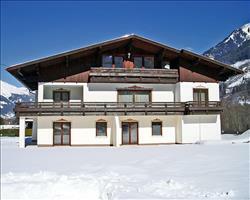 It offers excellent quality skiing, hosted the 1958 Alpine Championships and regularly holds the Snowboarding World Cup. It has an efficient state-of-the-art ski lift system that has the capacity to transport up to 70,000 skiers/snowboarders an hour. This alongside the fact that the Gastein Valley covers three ski resorts (Bad Gastein, Bad Hofgastein and Dorfgastein) and has a fantastic variety of terrain spread over 250km of slopes means you don’t need to worry about too much queuing or traffic on the slopes. View our detailed Bad Gastein snow forecast or snow report and see all live webcams, piste maps, road and travel maps and lift pass prices. For a picture of historic snow conditions see the snow depths month by month with our Bad Gastein snow history. Bad Gastein’s snow offers a skier and snowboarders paradise, with links to one of Austria’s largest ski areas offering a further 250km of pistes to explore. With a top altitude of 2650m and the presence of the longest glacier in the Eastern Alps - the 8.4km Pasterze glacier – to top it off, this is a place to enjoy fantastic snow and varied terrain. There are some great ski schools and good quality nursery slops for beginners, which can be found at the bottom of the main gondola and are the perfect place for novices to find their feet. Once some confidence is gained you can move on to some of the easier blue slopes on the Stubnerkogel. While the blue runs here are considered fairly challenging, anyone who masters skiing in Bad Gastein will be confidently conquering other resorts in no time! The ski area is perfect for confident intermediate skiers who can enjoy an extensive range of powdery pistes. Advance skiers should banish all fear that they’ll “outgrow” this fairly small resort - there are some world renowned trails to enjoy including some difficult runs on the Stubnerkogel and notorious black runs on the Grakogel. The off piste available is phenomenal here too and you can book an off-piste safari tour with the ski school. As amazing as the snow is for skiers, this is equally a haven for ‘boarders and regularly hosts the Snowboarding World Cup. There is some fantastic natural terrain and deep snow for free-riders or you can hop on a Stubnerkogel ski lift and head to the Snow Park for excellent freestyle ski and snowboarding. This large snow park is extremely versatile with a number of difficult jumps and half pipes alongside some superior natural terrain for the pro’s and some great children’s obstacles for the kids to try out. Bad Gastein’s nightlife is fun and lively, offering a traditional Austrian après ski experience based around great food and plenty of drink. You’ll find a colourful selection of venues to suit a range of taste and budgets. 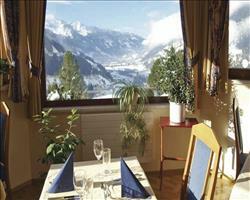 There are a number of mountain huts and pubs to enjoy a drink or two after a day on the slopes. For a more familiar atmosphere, Eden’s is the only British Pub in the valley, serving traditional British grub and beer. If you fancy a lively night out, The Silver Bullet Bar is the place to be, with live music, DJ’s and enough sherry to get you dancing all night long! A wonderful restaurant, popular with locals and tourists alike, is the Wirthaus Jagerhaus where you can enjoy live music whilst consuming first-rate and reasonably priced food. Another great place to eat is Lutter und Wegner, an authentic Austrian restaurant within walking distance of the town centre that offers a traditional atmosphere and food to match. One of the biggest attractions of the resort is the natural spa facilities - perfect for soothing aching muscles (and aching head if you’ve visited The Silver Bullet Bar...). Relax in one of the natural, hot, bubbling springs and receive some well-deserved pampering and treatments -there are even tranquil relaxation classes to attend. As well as the spa there are plenty of other non-ski activities in the area, making this a choice destination if you have non-skiers in your group. Try ice skating and curling, tobogganing, sleigh rides, ice climbing and snow shoeing. There are also a number of stylish boutiques and shops to browse on a quiet afternoon. If you still haven’t done enough, pack your camera and head up to the top of the mountain for the experience the breath-taking scenery from the viewing platform, it’s amazing! When is the best time to ski Bad Gastein? The valley enjoys terrific altitudes over 2,000m and the slopes face in all directions so this is great for a ski break throughout most of the season. The ski area has a historically good snowfall and there are 560 snow cannons on hand to create more if needed. The ski conditions peak during mid-season (January-February) when the snowfall is most consistent and the weather is coldest. The resort is fairly quiet throughout the year, but gets slightly more crowded in peak weeks like Christmas and Half term -make sure you book these dates well in advance so you aren’t disappointed! This resort is the ideal place for a family ski trip! 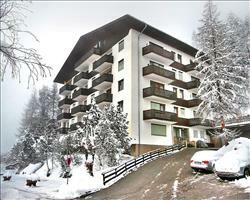 It is most suited to families who are already established skiers as the slopes are mainly geared towards intermediates. Despite this, there are some good nursery slopes and once you have picked up the basics you will be skiing with the pros in no time. There are also good ski schools for children with talented and patient instructors to help your little ones find their feet. If you want to ski the more challenging slopes without the kids then there is childcare available in Bad Gastein Kindergarten. The wonderful thing about this resort is there are so many other things to do other than skiing, meaning that even the most restless children won’t run out of activities. There are the cinema, bowling, ice skating, tobogganing and sleigh rides that are ideal for kids. There are a number of swimming pools and the natural spa is welcoming of youngsters who can enjoy the hot thermal springs. It is important to choose the right accommodation for your family before your holiday and there are some terrific hotel options in Bad Gastein. Hotel Weismayr is a perfect place to stay with a family; it is in an ideal location and is only a one minute walk from the bus stop and within walking distance from the town centre. A group ski holiday is the perfect way to get away from the stresses of everyday life and spend some quality time with friends. Bad Gastein is a wonderful place for a group skiing group – it’s extremely well suited to intermediate skiers but there are enough beginner’s facilities, advanced steeps and off-piste to suit everybody’s needs! 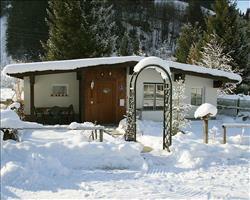 As the resort is part of The Gastein Valley it has great connections to surrounding ski resorts. This is superb news for a group of mixed ability skiers as the more advanced skier has 250km of pistes to explore and those finding their feet can stay closer to resort. Bad Gastein is also an ideal choice if you have non-skiers in your group as there are plenty of non-ski activities for them to enjoy. A huge attraction of the resort is its spa with its naturally infused radon waters and health benefits, non skiers can opt for a relaxing spa trip whilst the other ski. There are plenty of other activities to enjoy off the slopes, including ice skating, sleigh rides, cinema trips and shopping. For evenings together, the après ski in the resort is very enjoyable and there are lots of different things to choose from. There are fantastic quality restaurants and après ski huts to refuel after a day on the slopes. For a more lively night out The Silver Bullet is very popular and you can have an unforgettable night there with friends! It is important to choose suitable accommodation whilst you are away and SNO has some great options for groups. Hotel Alpenblick is wonderfully suited to for groups due to its good facilities and convenient location – it’s only a few feet from the slopes and within walking distance from all the attractions, restaurants and shops. To find something that suits you and to book your perfect holiday, select your departure dates and nearest airport below. I wouldn’t recommend Bad Gastein to novice skiers or snowboarders, especially not to snowboarders because it’s a lot steeper than you’d expect from UK grading. I’m an intermediate and found some of the slopes quite hard. We had a great day away in 2 other resorts down in the valley which had slightly easier slopes. The weather wasn’t the best – we actually had too much snow and they couldn’t piste the slopes which meant they got quite mogulled. Bad Gastein is quite small and there aren’t so much restaurants and more hotels, so you just go to a hotel’s restaurant if you want to eat out. We found that it was hard to eat out if you wanted to eat early which we tried to do a couple of times – a lot of the places were closed.